NYC based fans of Noah's Arc are in for a treat on Wednesday June 22nd. 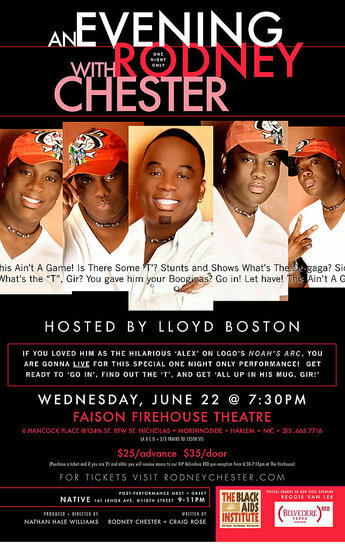 Rodney Chester aka Alex from the former Logo flagship series, is holding court for one night only. Full details are on the flyer above. Rodney Chester is hilariously funny so why not go along and support?